A blacksmith is a tough job for even a strapping young man, but 158cm-tall Ai Iijima, 31, hasn’t let the physical nature of the work come between her and her dream of setting up her own forge. 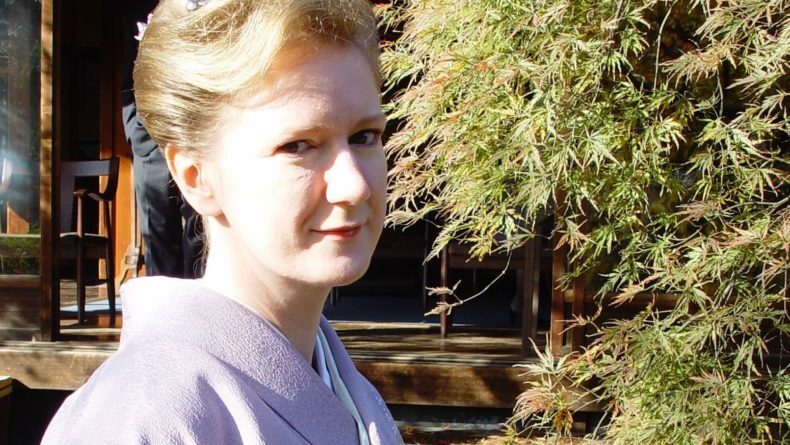 After training at one of the UK’s renowned centers for blacksmithing, which has been home to a smithy since 1801, she returned to Japan in 2011 determined to bring her passion for metal to others. 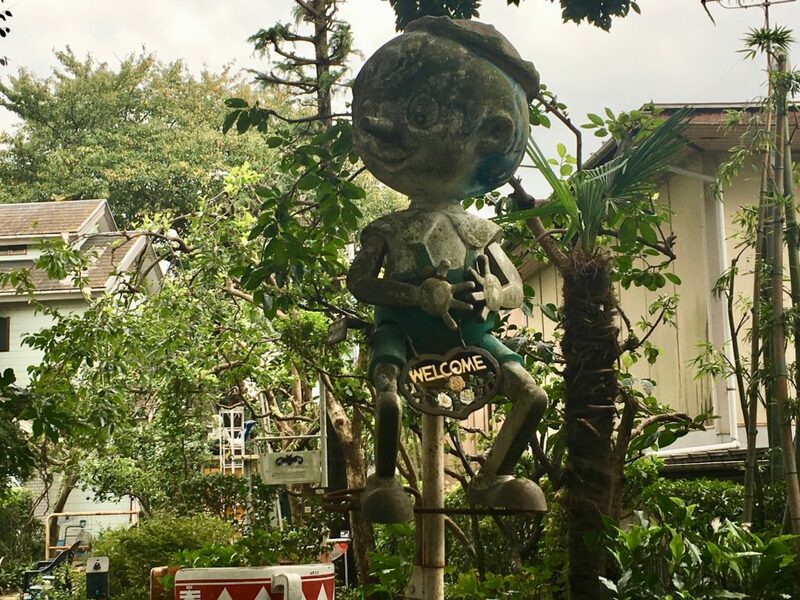 After building a business in designing and creating original and inventive metalwork, Iijima opened her forge “Metalsmith Iiji” on the outskirts of Tokyo in May this year. She continues to create a wide body of work, from everyday items such as scissors and stools to jewelry, typography, and even gates. Reflecting her love of the natural world, she designs all her pieces to be unique and even breathes life into junk metal by giving it new forms. 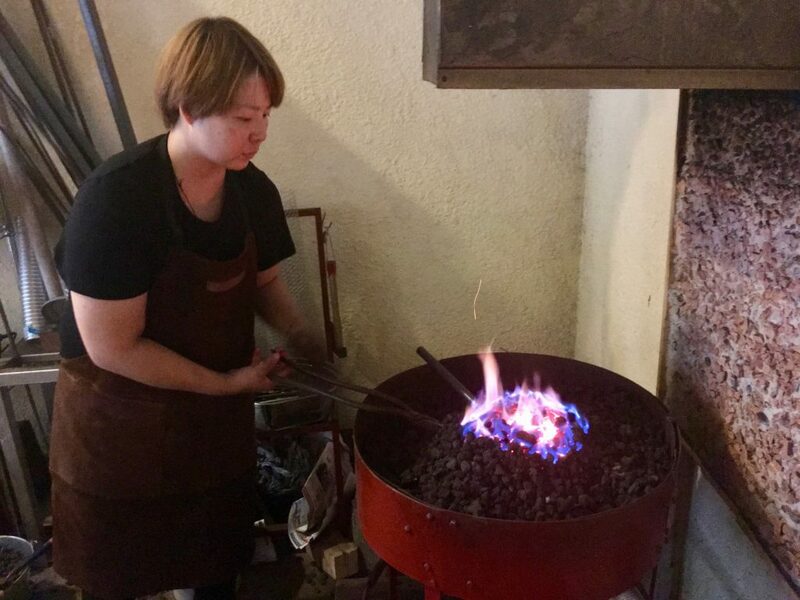 Savvy Tokyo caught up with the creative entrepreneur to find out about her journey to become a blacksmith, the challenges she has faced and why she is so determined. 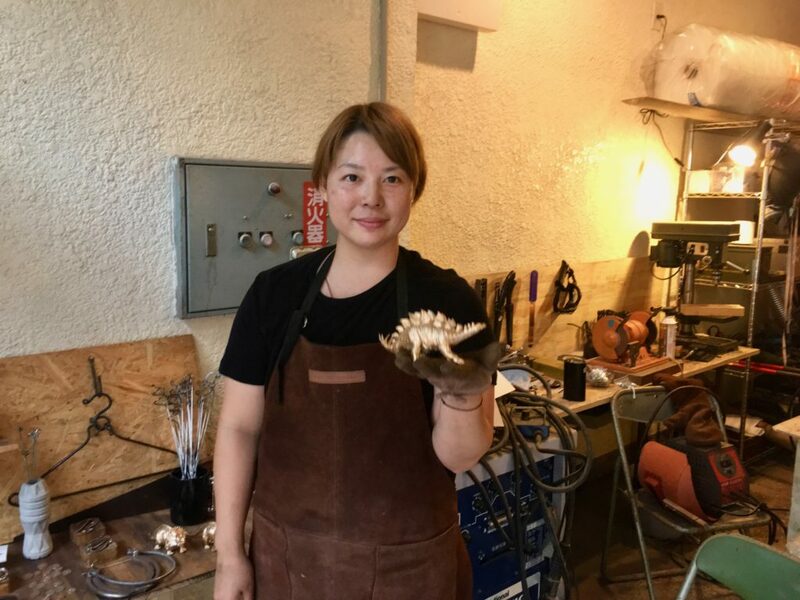 Iijima poses for a photo with one of her hand-made metalworks. What got you into metal? I studied art and design, including ceramics, woodwork, and architecture at Gakkan Technical High School (now, Tokyo Gakkan Funabashi). 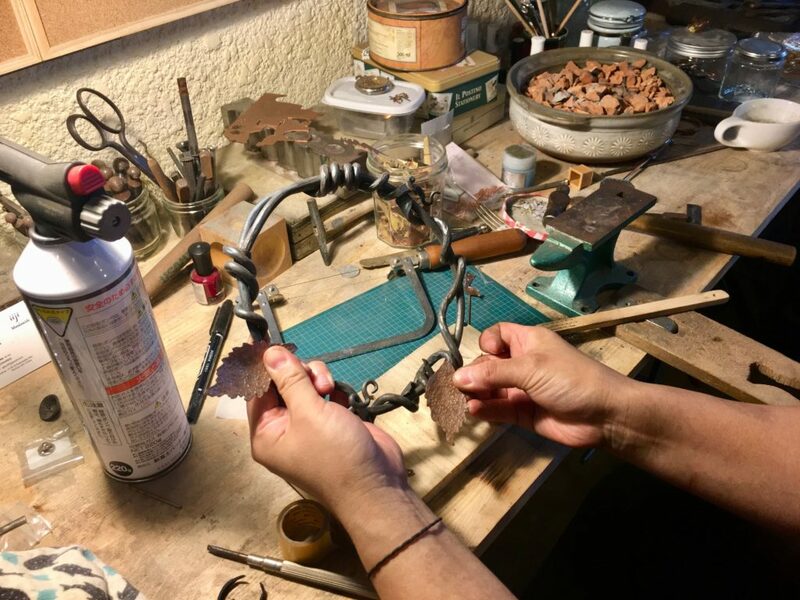 But I wanted to do metal work since I was 12 years old so I majored in metal—mainly silver accessories and sculpture—and then decided to study metalworking in the UK. I first visited there with my mom and grandma when I was 10 years old and was struck by the historical buildings, the atmosphere of the towns, and the countryside scenery. Metal is one of the oldest and most important materials in human history. 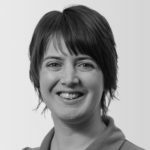 As part of my Bachelor of Arts degree at the University of Brighton, I learned how to forge and weld, as well as do light metalwork techniques, and I started to think about becoming a blacksmith. After graduation, I got an apprenticeship at Glynde Forge in East Sussex. I worked for three years under Terry Tyhurst—a blacksmith of more than 30 years’ experience—restoring local church’s weather vanes and making a wide range of items. After that, I decided I would return home to Chiba Prefecture, to start my blacksmithing career. I shipped all my tools, including the anvil, heavy hand drill and portable hearth I used during my apprenticeship, which Terry kindly gave to me. Though some are really old, they remind me of my time in the UK so they are special to me, even now. What is the appeal of working with metal? Metal is one of the oldest and most important materials in human history. Even the tools required for the ancient crafts of woodwork and leatherwork are made from metal. It’s often seen as hard and cold but when working with it you realize that it’s flexible and warm. At this point, words can’t describe how beautiful it is. I normally work with iron, silver, gold, copper, and brass. Every one of them has its own features and I love working with those differences. 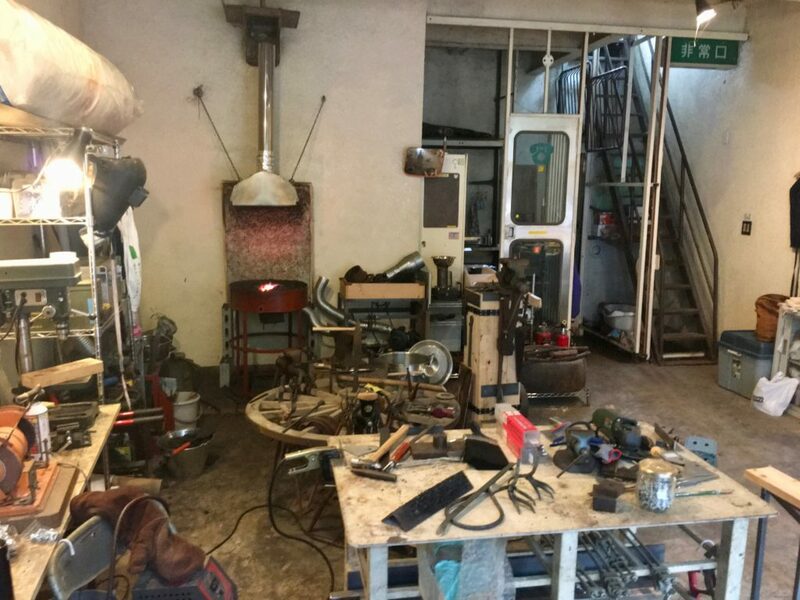 I had dreamed of having my own forge since I was an apprentice but when I came back to Japan, I didn’t have enough funds. As I could speak English well, I got a job at Narita International Airport. My plan was to save up for a workshop but then I got married and had a baby. Five years on, when I reached my 30th birthday and my daughter began nursery school, I thought, my time had come! To be honest, everything was a challenge. I thought it wouldn’t be difficult to go back to work after I had my daughter but I was wrong. Although I have a small working space at home, I didn’t have a chance to do any metalwork in my first year of being a mom. When I was looking for a site for my forge, I wanted somewhere not too far from home but noise was a big issue for landlords. Through an estate agent, I was offered some warehouses but they were too big and expensive for one person. One day, on the way to my daughter’s nursery, I noticed an old train carriage operating as a café on a roof. The building had been empty for a long time so I asked the owner to let it to me. He declined but said I should visit him anyway and, on hearing about my work, he changed his mind and gave me the keys. You really never know what is around the corner. What professional support do you have? I know a few people specializing in metalwork, including my teacher from highschool who gave me a foundation in jewelry making. Even now he is my best advisor. I got a few jobs through a well-known blacksmith in Japan who is running a company manufacturing wrought iron gates for the Shakespeare Theatre in London. I keep going because I strongly believe that the item I make will be a part of my customer’s life. 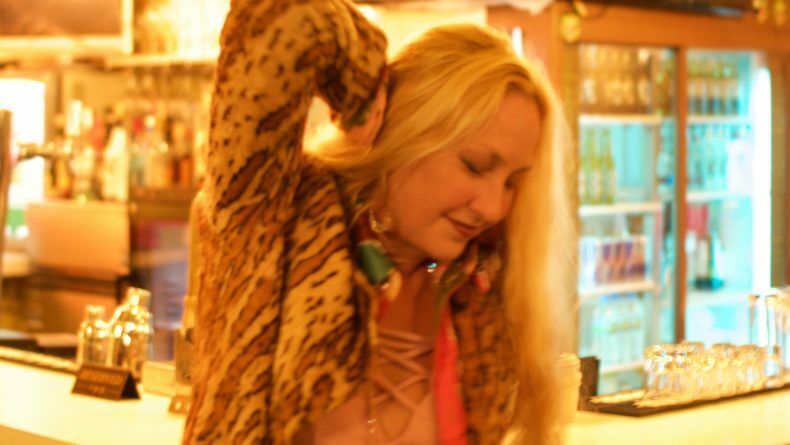 How difficult is it to be a woman in the industry? It’s always hard to be a minority. It was rare for me to meet a female blacksmith in the UK and it’s even rarer in Japan. I think it’s because the job requires a high degree of physical strength, has a risk of serious injury and involves being covered in soot. It’s not easy work; in the past, my hands have been cut and burnt but I enjoy being a blacksmith so much that I can overlook the hardships. Iijima’s workplace in Chiba prefecture. What does making one piece involve? The process differs for each piece but, to make a gate, for example, I begin my drawing to scale a design draft on paper and plywood. I then cut out bars with a hacksaw or grinder; weld the bars to make a frame; heat the ends in the hearth and hammer them flat; round them using an anvil horn and set their shape using a water bath; compare the work with the scale drawing; weld all parts into the frame; clean up spatter using a wire brush and paint. It could take up to two weeks. What is most rewarding about your business? Most of my work is made to order and ranges from a wedding ring to a gate. In the process of making and finishing each job, there is often one part of the process that is tricky—and one mistake can ruin an item, meaning I have to start anew. But I keep going because I strongly believe that the item I make will be a part of my customer’s life. Thinking about that always cheers me up and makes me feel honored. Welcome to Ai Iijima’s forge. What lies ahead for you? I’m going to take part in a craft fair called Handmade Makers’ at Pacifico Yokohama in November so I am currently making stock for that. Although I have been a solo participant in several art fairs in the UK, this is the first time I will do so in Japan. I aspire to run my business in the same way that a traditional village smithy would have been run, to serve the needs of the local community. For more information on Ai Iijima, visit her website or online store. 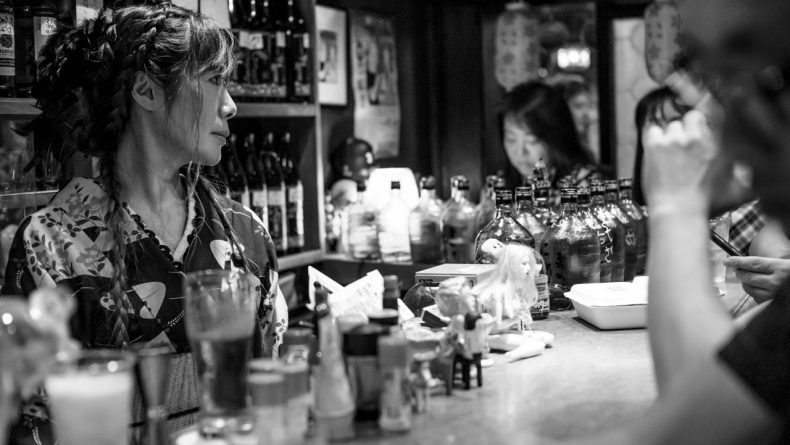 Savvy Spotlight is a monthly feature introducing foreign and Japanese women at the frontline of what’s successful, contributing, cool, unique and interesting in the city. If you have anyone in mind you would like us to interview, leave us a comment below with your recommendations! 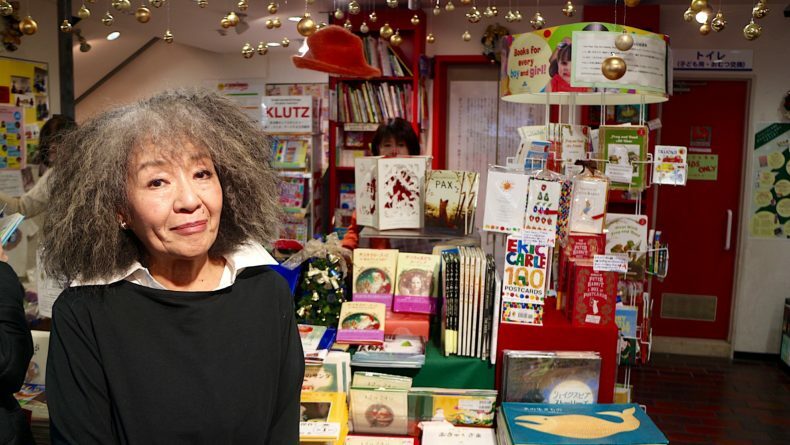 An interview with a woman who continues fighting Japan’s status quo through a small-turned-big store in central Tokyo.